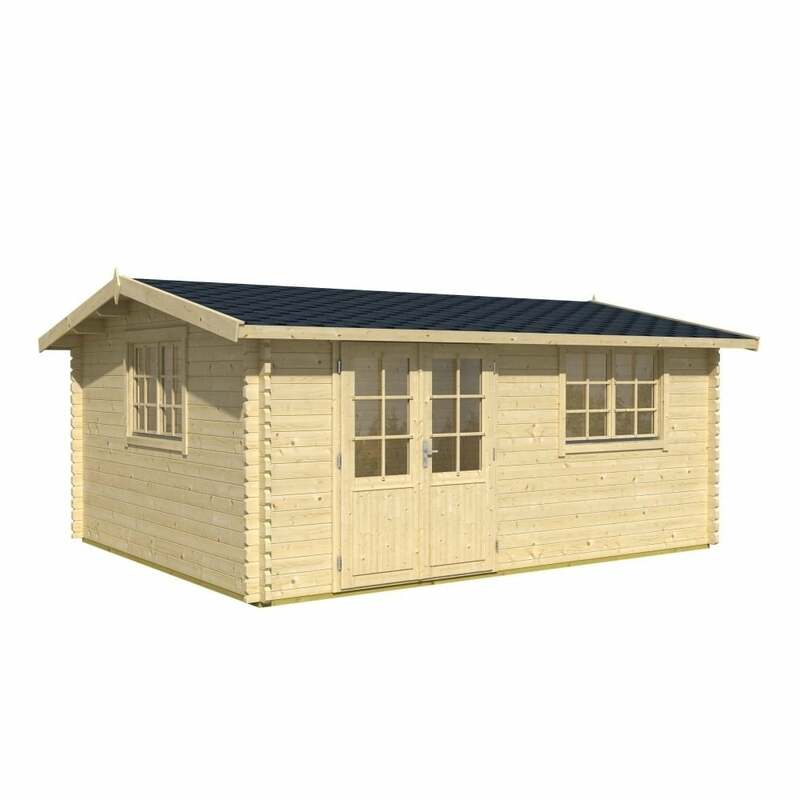 Norland Hinckley 2 Log Cabin: The Norland Hinckley log cabin is a generously sized garden building that would suit a variety of different purposes. This log cabin has 44mm thick wall logs and is double glazed for added insulation you can also purchase the option roof insulation. This log house really is suitable for all year round enjoyment, by adding only a small heat source you can get pleasure from this building no matter what the weather outside. If you need a retreat in the garden, a place to go to get away from it all, whether that be to simply relax or to get some work done in peace and quiet this building has so much to offer. There is a double door to the front of the building which can be positioned on either the left or right and two double outward opening windows that will let in plenty of light and ventilation when you need it most. This building will sit on top of the included pressure treated foundation beams to lift the building and help protect the wood around the bottom from rot. This log cabin will be delivered in kit form and will require the application of a good quality timber preservative.